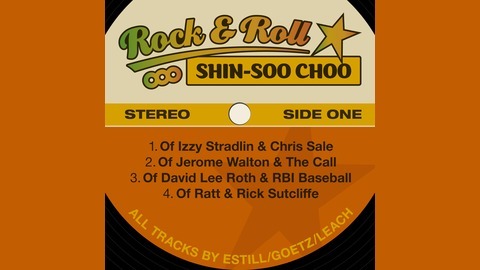 Rock & Roll Shin-Soo Choo features discussions mixing baseball and rock music. 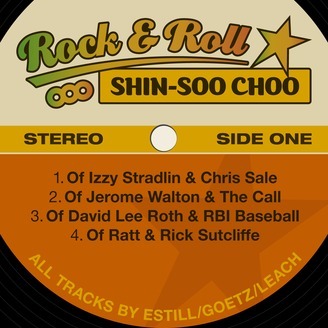 Nearly twenty years ago, hosts Gabe Estill, Jonathan Goetz and Levi Leach all went straight from spending their allowances on baseball cards and Starting Lineups to spending paychecks on records, CDs and concert tickets. From classic rock and metal to indie, alternative and whatever may have been released last week, their diverse musical tastes generate discussions that will touch all four corners of the rock and roll landscape. Each episode also covers current events in Major League Baseball, along with its rich past of heroes, characters and bit players. In what has become an MLB Opening Day tradition, we welcome back Ricky Cobb of Super 70's Sports as a guest panelist. In addition to catching up on Ricky's whirlwind year, we critique sports uniforms, discuss underrated '70s ballplayers and share our favorite vintage baseball video games. We then go around the horn to share some storylines we are looking forward to in MLB in 2019 and our playoff and World Series predictions.